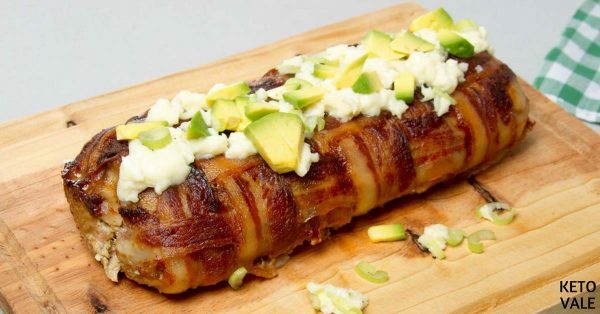 This bacon wrapped meatloaf is the king of all meatloaves. 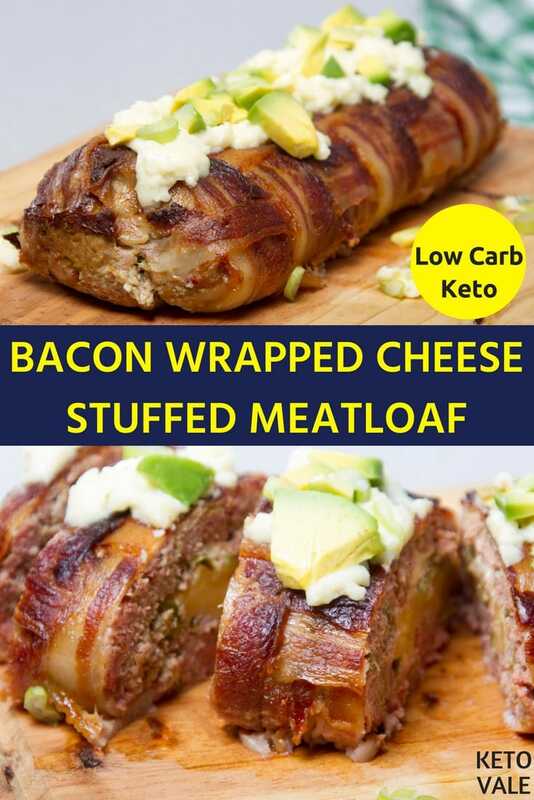 With a crispy bacon weave wrapped outside and cheese stuffed inside, this recipe can be used for regular family dinners or special occasions such as a party. You can prepare this with beef or pork or a combination of both like how we did in this recipe. 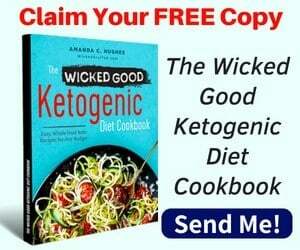 You can season the meat with homemade taco seasoning or simply follow the list of herbs and spices as in the instruction below. We use quite a good amount of jalapeno in this recipe to make it spicy. You can tell that we love spicy food! 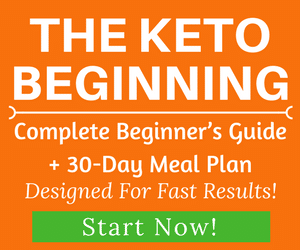 However, you can adjust the amount of jalapeno as you like, or simply don’t use it at all if you don’t like spicy food. 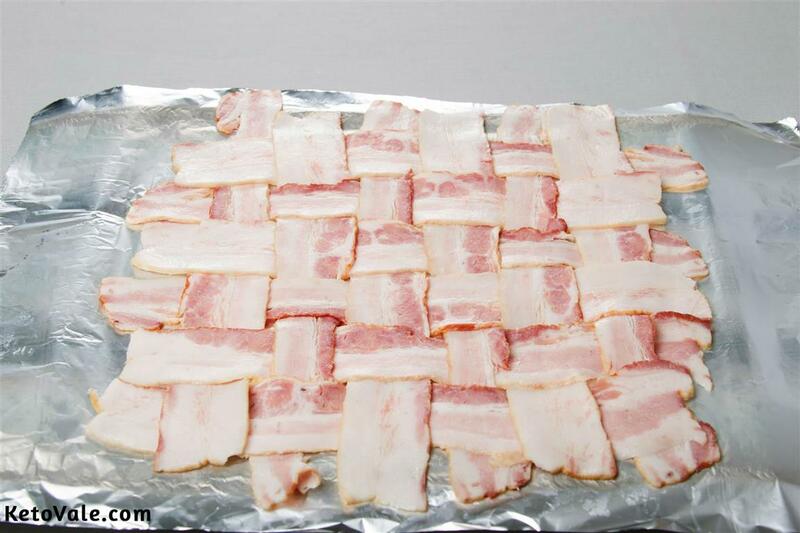 The bacon weave seems a little bit complicated to do but it is actually not that hard. It just requires a little patience. We’ll show you how to make this weave first. 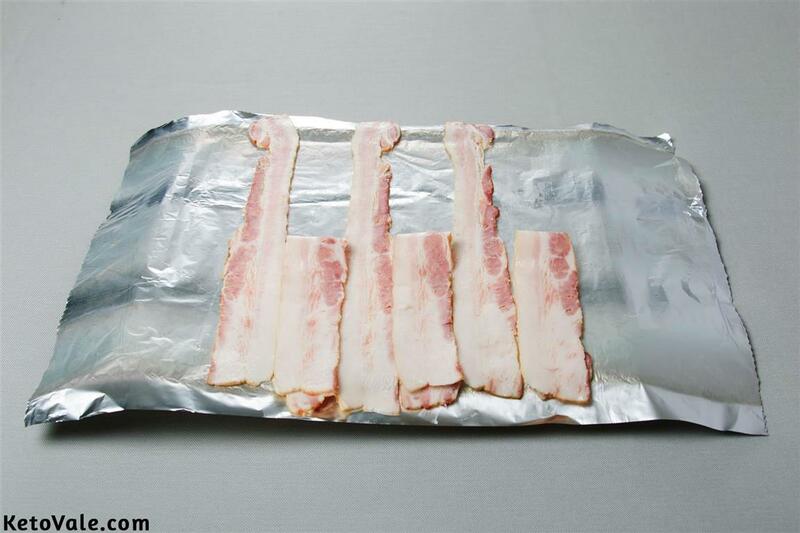 Step 1: On aluminum foil, place 6 long slices of bacon in vertical direction. 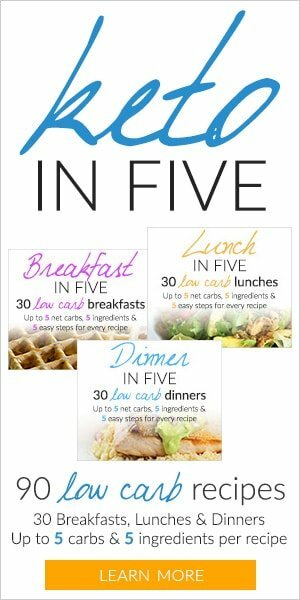 It’s easier to make this with cold bacon slices. Step 2: From the left to right, fold the slice number 2, 4 and 6 in the middle as in the photo. 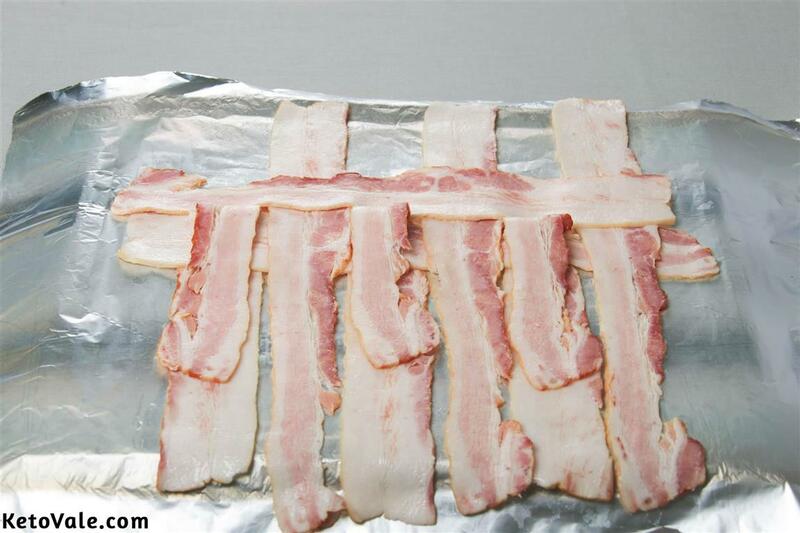 Step 3: Place the first bacon slice in the horizontal direction just above the fold then put the slice number 2, 4 and 6 back to the original position. Step 4: Fold the slices 1, 3 and 5 as shown in the photo. 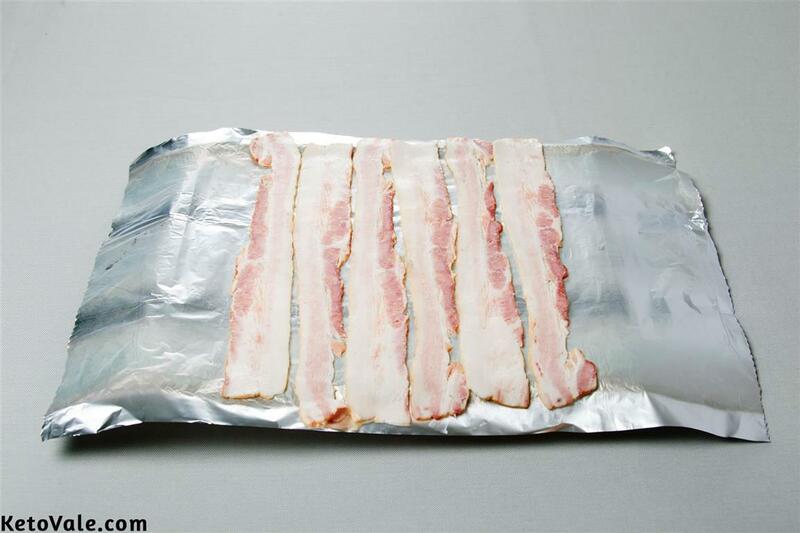 Step 5: Put another slice of bacon in the horizontal direction. 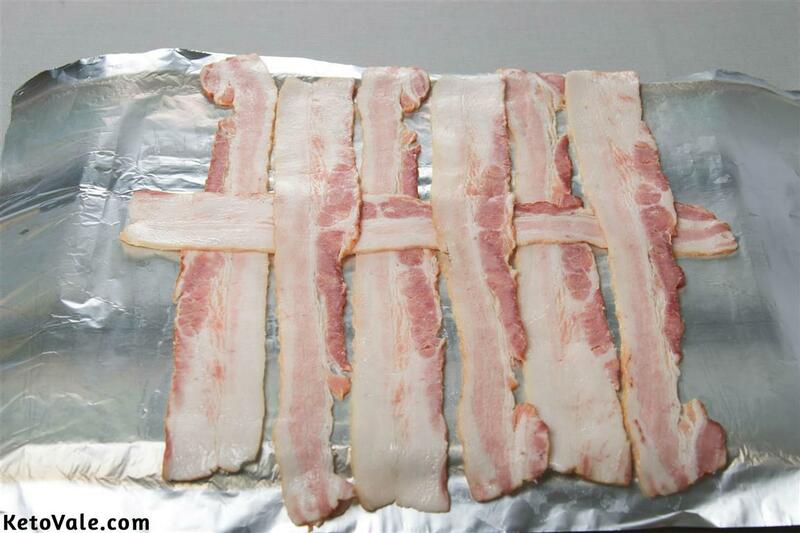 Step 6: Repeat this procedure until you have a firm bacon weave. Preheat the oven to 350F. 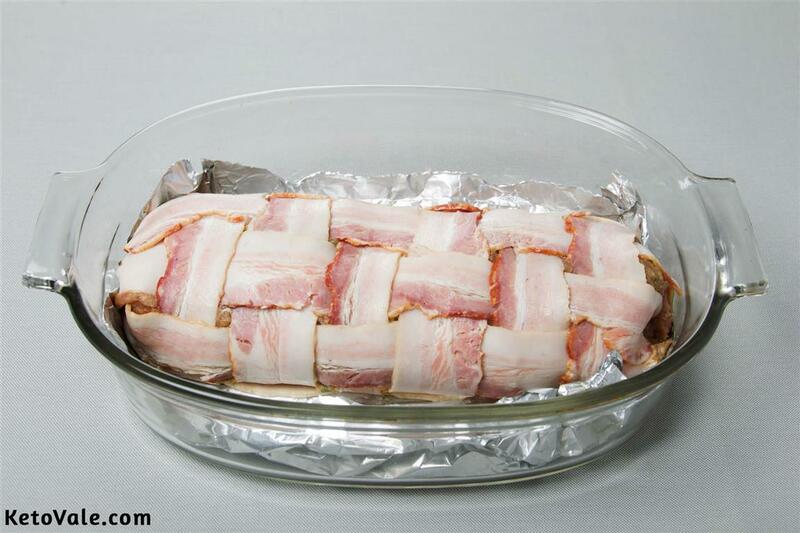 In the meantime, make the bacon weave as shown above. Next, we need to season the meat (ground pork and beef) with all the ingredients and herbs (almond flour, egg, jalapeno, cumin, black pepper, onion powder, garlic powder, coriander and tomato puree). Mix well using a spoon or your hand. After that, distribute the meat mixture evenly on the top of the bacon weave. 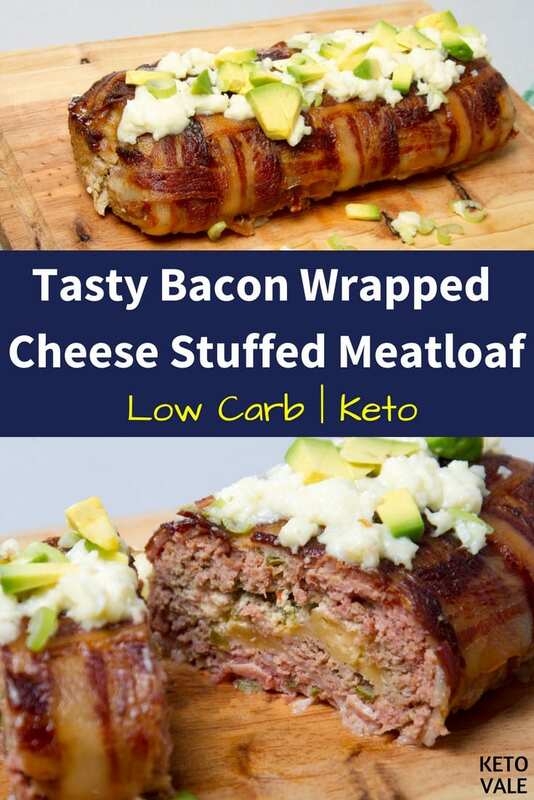 For the fillings inside, add cream cheese, sour cream and jalapeno neatly on one side of the meat bed and start rolling it up. You can use mozzarella cheese in the place of cream cheese. 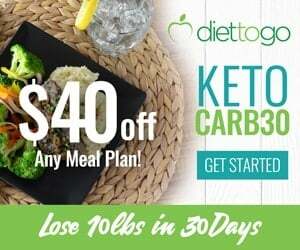 Place the meatloaf carefully on a baking sheet without breaking it and bake for about 40 minutes or more, depending on the thickness of your loaf and bacon slices. Make sure to check if it’s cooked. Once done, remove from oven and cut carefully into 8 slices or however thick you want your slice to be. You can serve with fresh chopped avocado, cheese, and coriander. 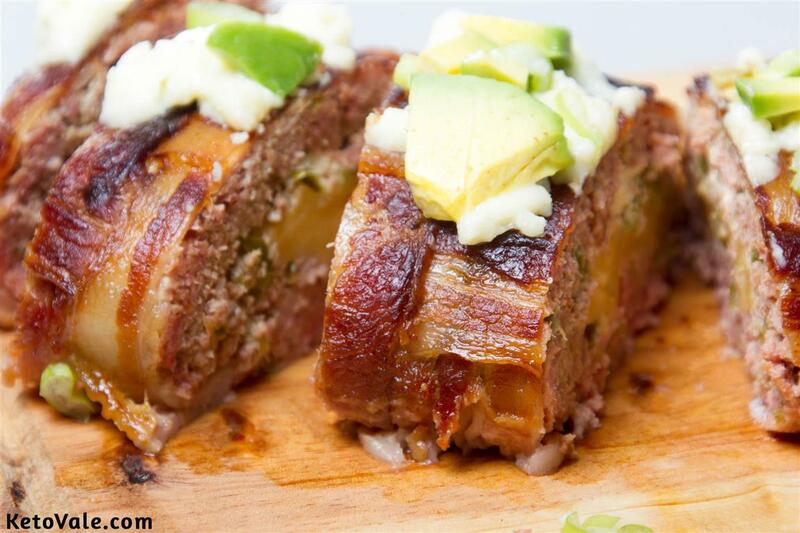 This bacon wrapped meatloaf stuffed with cheese will impress your family and friends. 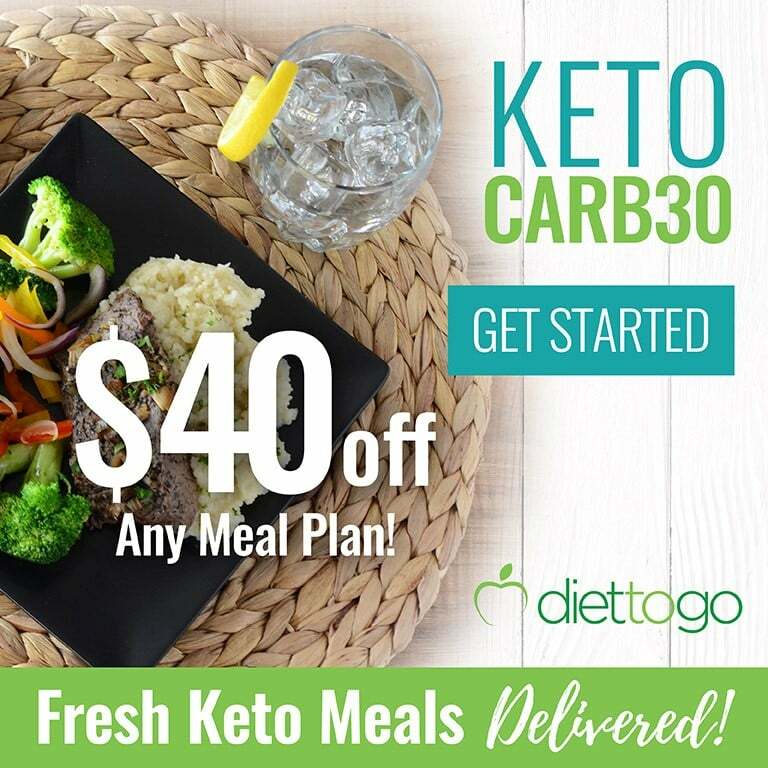 It’s so delicious that you will want to make it again and again! You can top with a little bit of fresh cheese, chopped avocado, and coriander for garnishing. Preheat oven to 350F. 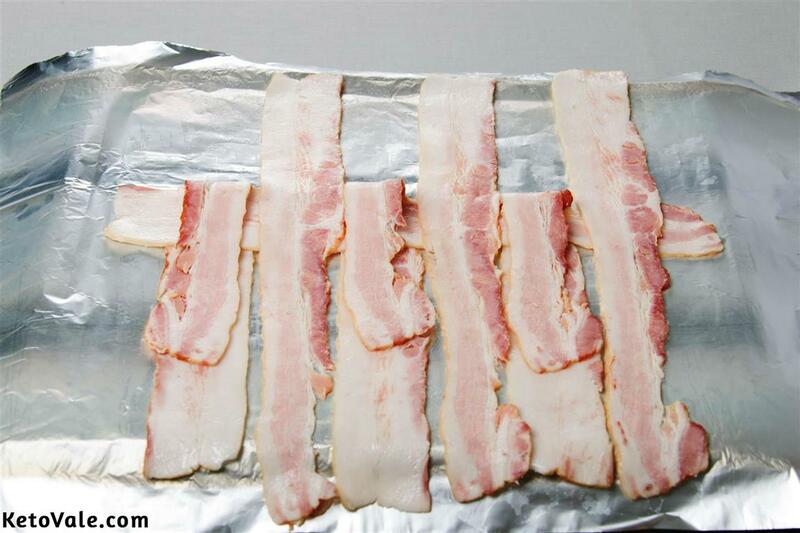 Start by making the bacon weave following the instructions above. 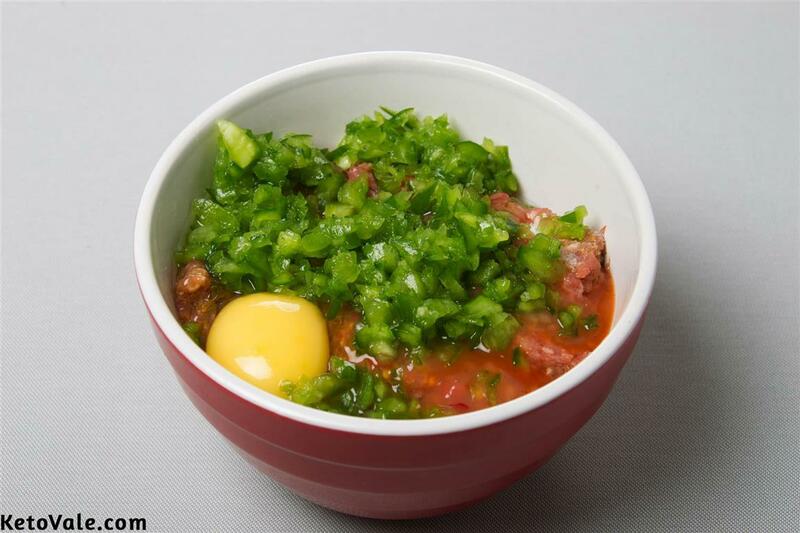 Mix the ground pork and beef in a bowl. Crack in the egg. Fold together with the almond flour, onion powder, garlic powder, and tomato pureé if available. Pepper the mixture while adding the chopped jalapeno. Combine thoroughly to flavor the meat well. On one edge of the meat bed, arrange the chopped jalapeno, cream cheese, and sour cream. 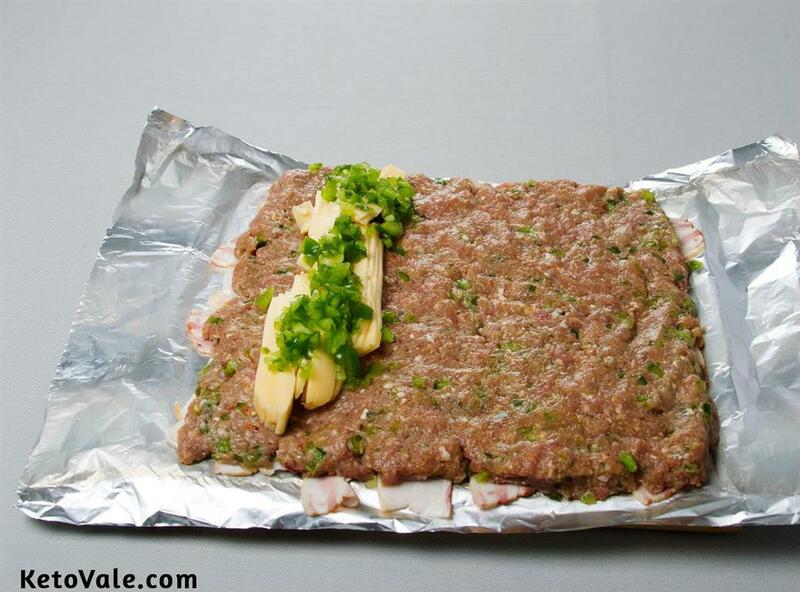 Roll the meat carefully to avoid spilling the fillings. 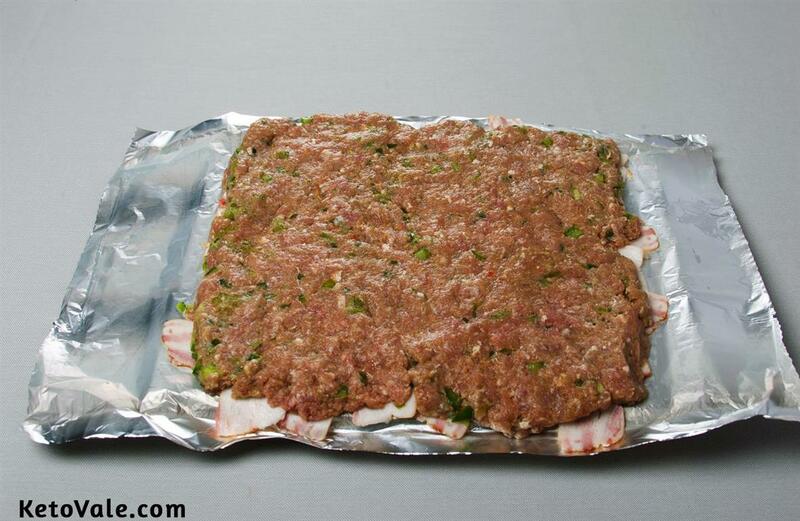 Place the rolled meatloaf onto a baking sheet. Bake for 40 minutes or more if the loaf is thicker. Check often to make sure it's cooked. Carefully slice the lukewarm loaf into pieces. Garnish with coriander, chopped avocado, and fresh cheese. Serve and enjoy!